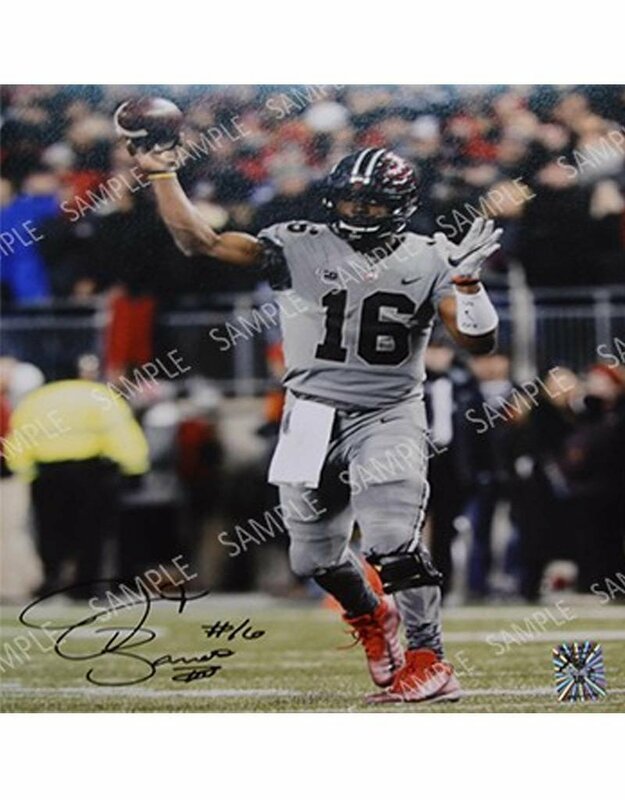 Own a piece of Buckeye Pride with this Authentic J.T. Barrett Autograph 16x20 photo from our January 6th signing. Comes with a Certificate of Authenticity.